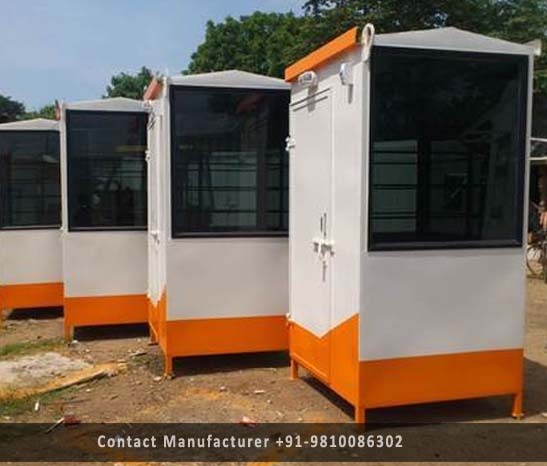 Portable Security Cabins Manufacturer in Delhi, Portable Security Cabins Supplier in Delhi, Portable Security Cabins in Delhi. DTH Prefab has been got appreciation by the large base of satisfied clients just because of its ability of providing them with a superior quality products like Portable Security Guards Cabin. The offered product range is in compliance with the norms specified by industry and up to the expectations of customers. Customization solutions are also provided by us to the customers, in which, products are developed in accordance with the details recommended by industry.